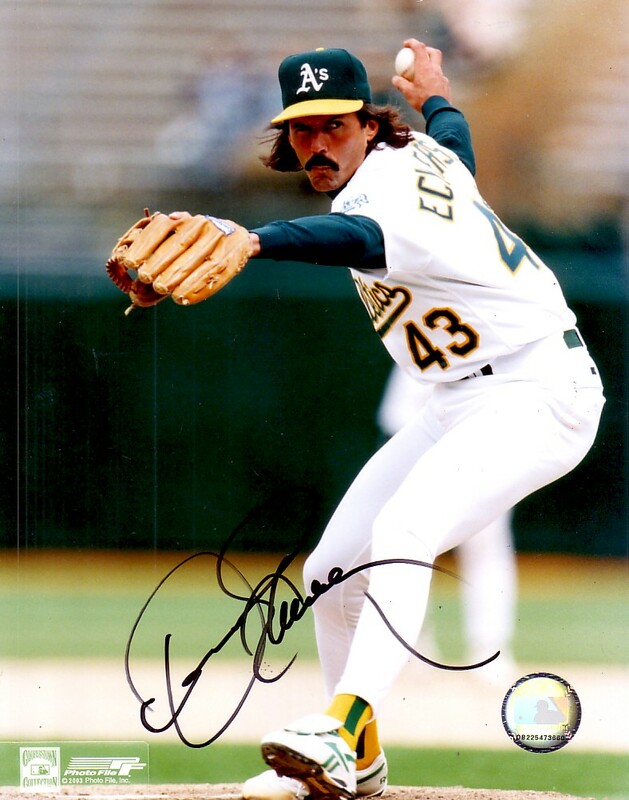 Oakland A's action photo autographed by Hall of Famer Dennis Eckersley. With certificate of authenticity from AutographsForSale.com. ONLY ONE AVAILABLE FOR SALE.